Fantastic views and local artwork, just minutes from the town centre. Historically, Millennium Green was used as both a quarry and for grazing horses. 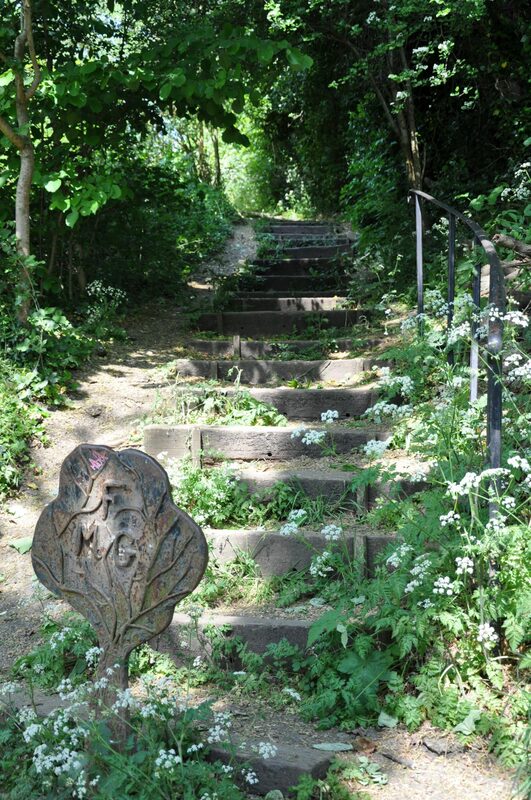 Since 2000, in the hands of the Frome Millennium Green Trust, the site has become a more natural area, home to lots of wildlife, a community orchard and one of the oldest trees in Frome! The south-facing slopes here also enjoy the sunshine (as it comes!) throughout the year, with melting frosts a treat for walkers & photographers on sunny winter days. Commissioned by the Trust, the site also features a number of pieces produced by local artists, making this a distinct and characterful landscape in the town. Depending on which direction you’re coming from, Millennium Green either slopes its way up towards North Parade; or down towards Rodden Meadow. Enjoy the views down to Rodden Meadow & the riverbanks. And the views across to Cley Hill and beyond!